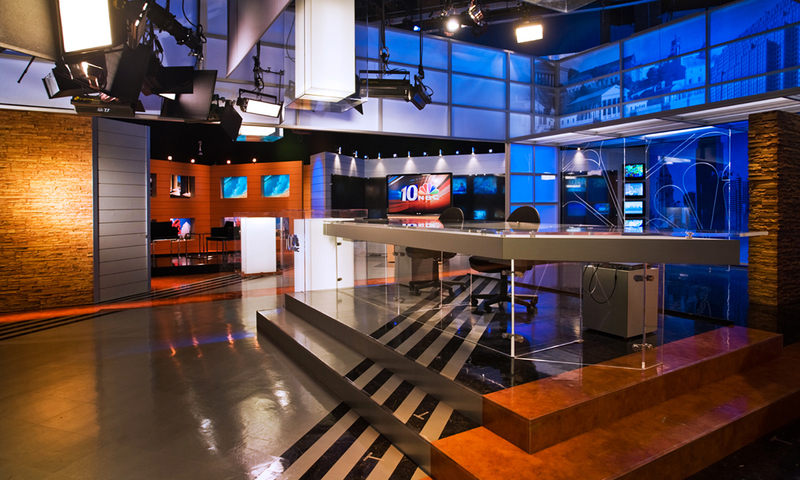 Network affiliates are important members of any broadcast family. 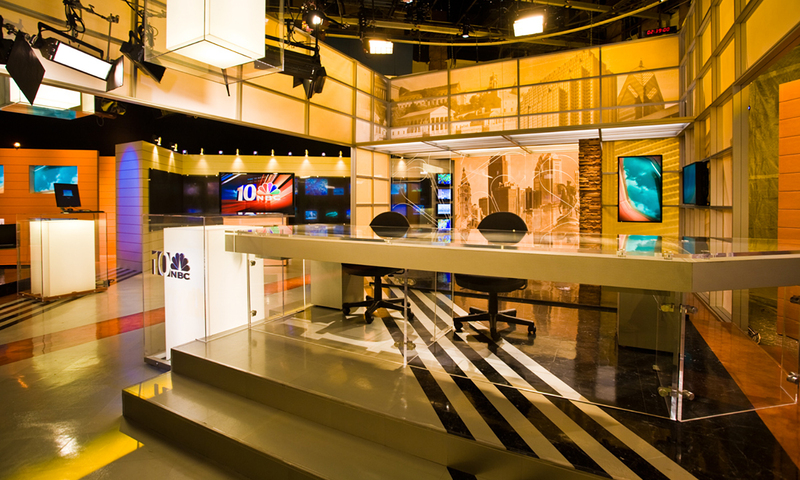 The studio designed for WCAU integrates facets of the NBC franchise with elements that resolutely declare the local nature of this Philadelphia news channel. New technology and 360° camera functionality project an organization that immediately ingests and distributes breaking news. 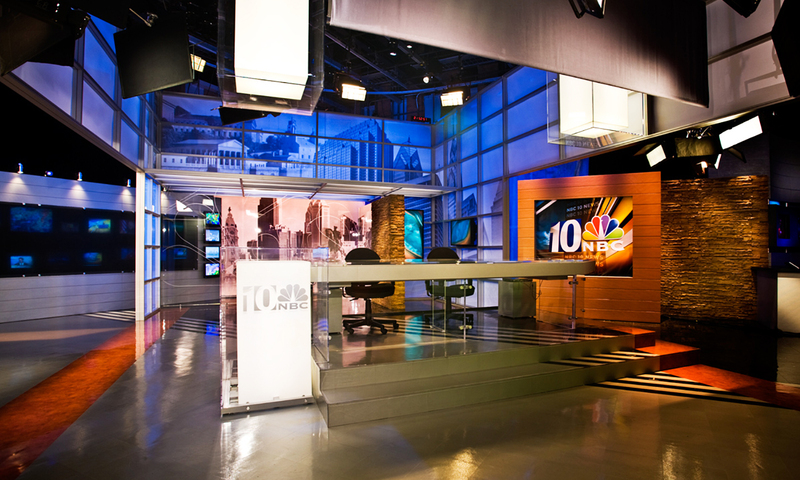 The entire environment transitions in color to reflect the time of day, creating a mutable and distinctive on-air palette.